Download the newest Holiday Autos App today. 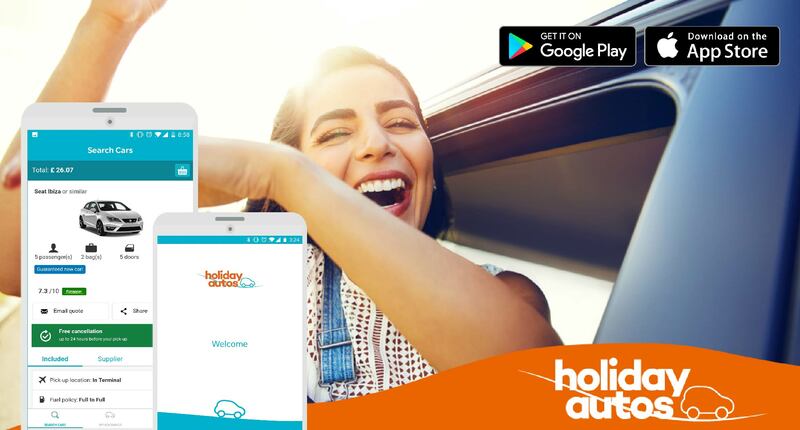 Book easily – Find and book the perfect car for your holiday in just a few short steps. Manage your booking – Need to make changes to your booking, request a child seat or add damage refund insurance? No problem. Now you can view, manage and amend your booking from the app. Paperless Pickup – With your booking voucher on your phone, there’s no need to print out all your documentation. Just enable data or wifi and use your phone at the rental desk.